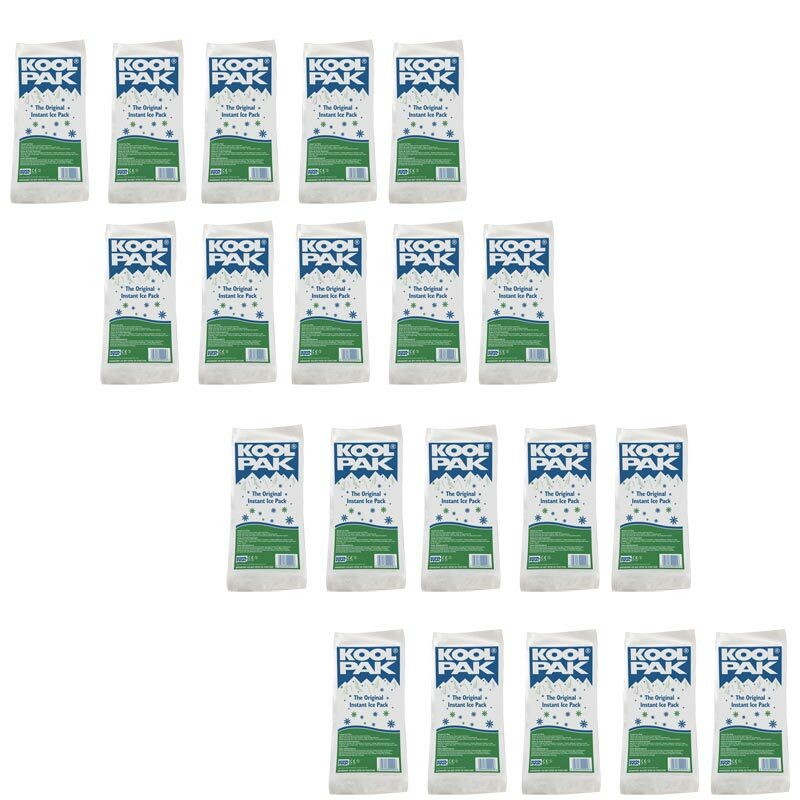 The Koolpak ® Original Instant Ice 20 Pack is a multi-purpose instant cold therapy pack that provide instant relief for pain caused by sprains, strains, bumps and bruises to the Knee and ankle. Longer bag size is ideal for wrapping around limbs. Ice pack size: 13cm x 30cm. Bought to refill a First Aid kit used for youth football. All arrived protected and undamaged. Half have been used so far and is proving better than an ice spray for thigh bumps and calf knocks. I had been suffering with back problems that ice helped, as I was going on holiday I needed something to take with me and these were perfect. Excellent ice packs, very handy for schools, trips etc. Quick delivery which was lovely. This is an essential First Aid product on the side line of any Rugby Pitch, with appropriate use your star player can be match fit in no time. Newitts supplied quickly, at the right price with no fuss. Well Done.